Raman teases Ishita and their sweet moments are often seen. She leaves notes for him and expresses love. Raman gets glad by Ishita’s efforts. Raman and Ishita want Adi to be happy. Raman often gets angry on Adi, but he is worried for Adi and Pihu. He sheds tears in his room and Ishita consoles him. They both cry as Pihu is getting away from them. 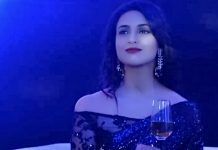 Pihu’s memories break down Raman. Pihu tells Raman that she does not want to see his face, as she feels Raman did wrong with Aaliya and Adi. 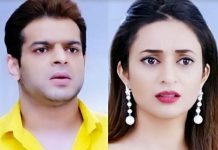 Pihu’s words have hurt Raman. Raman feels helpless to pressurize Adi to be away from his love, but he can’t accept Mani’s daughter for Adi. His heart is burdened and he regards himself a bad father, after Adi and Pihu blames Raman for all the problems. Even Ishita is worried for Adi and Aaliya. She is frustrated and gets her anger out on someone on phone. She stitches wrong button on Raman’s shirt while being lost in thoughts. She apologizes to Raman. Raman understands her state of mind and asks her not to worry. They both become pillar of strength for each other. Raman and Ishita will be marrying once again for their children’s sake and to legalize their marriage. Pihu will be convincing Raman for accepting Adi and Aaliya’s relation. Keep reading.